NOTCH1 signaling induces pathological vascular permeability in diabetic retinopathy.Miloudi K, Oubaha M, Ménard C, Dejda A, Guber V, Cagnone G, Wilson AM, Tétreault N, Mawambo G, Binet F, Chidiac R, Delisle C, Buscarlet M, Cerani A, Crespo-Garcia S, Bentley K, Rezende F, Joyal JS, Mallette FA, Gratton JP, Larrivée B, Sapieha P. Proc Natl Acad Sci U S A. 2019 Feb 20.
in vivo laser-mediated retinal ganglion cell optoporation using KV1.1 conjugated gold nanoparticles. Wilson AM, Mazzaferri J, Bergeron E, Patskovsky S, Marcoux-Valiquette P, Costantino S, Sapieha P*, Meunier M*. Nano Lett. 2018 Oct 4. doi: 10.1021/acs.nanolett . *co-corresponding. Postmitotic Cellular Senescence: Beyond Growth Arrest. Sapieha P* & Mallette F*, Trends in Cell Biology 2018 Aug;28(8):595-607 *Co-corresponding. ★Macrophage-resident Neuropilin-1 safeguards against obesity and metabolic syndrome. A Wilson, Z Shao, V Grenier, G Mawambo, J-F Daudelin, A Dejda, F Pilon, N Popovic, S Boulet, C Parinot, M Oubaha, N Labrecque, V de Guire, M Laplante, G Lettre, F Sennlaub, J-S Joyal, M Meunier, P Sapieha. Science Immunology, Mar 16;3(21) . Nogo-A inhibits vascular regeneration in ischemic retinopathy. Sandrine Joly, Agnieszka Dejda, Lea Rodriguez, Przemyslaw Sapieha*, Vincent Pernet*. Glia 2018 Jul 27 *co-corresponding. A machine learning approach for automated assessment of retinal vasculature in the oxygen induced retinopathy model. Mazzaferri J, Larrivée B, Cakir B, Sapieha P, Costantino S. Scientific Reports. 2018 Mar 2;8(1):3916. Effect of human very low-density lipoproteins on cardiotrophin-like cytokine factor 1 (CLCF1) activity. S Pasquin, S Chehboun, A Dejda, Y Meliani, V Savin, G Warner, R Bosse, A Tormo, G Mayer, M Sharma, P Sapieha, C Martel and J-F Gauchat, Scientific Reports 2018 Mar 5;8(1):3990.
miRNAs, single nucleotide polymorphisms (SNPs) and age-related macular degeneration (AMD). SanGiovanni JP, SanGiovanni PM, Sapieha P, De Guire V. Clin Chem Lab Med. 2017 Mar 27. Complement Factor H Inhibits CD47-Mediated Resolution of Inflammation. B Calippe, S Augustin, F Beguier, H Charles-Messance, L Poupel, J-B Conart, S J. Hu, S Lavalette, A Fauvet, J Rayes, O Levy, W Raoul, C Fitting, T Denefle, M Pickering, C Harris, S Jorieux, PM Sullivan, J-A Sahel, P Karoyan, P Sapieha, X Guillonneau, EL Gautier, F Sennlaub Immunity, 2017 Feb 21: 46(2):261-272. Lymphocytic Microparticles Modulate Angiogenic Properties of Macrophages in Laser-induced Choroidal Neovascularization. Tahiri H, Omri S, Yang C, Duhamel F, Samarani S, Ahmad A, Vezina M, Bussières M, Vaucher E, Sapieha P, Hickson G, Hammamji K, Lapointe R, Rodier F, Tremblay S, Royal I, Cailhier JF, Chemtob S, Hardy P. Sci Rep. 2016 Nov 22;6:37391. ★Gut microbiota influences pathological angiogenesis in obesity-driven choroidal neovascularization. E Andriessen , A Wilson , G Mawambo , K Miloudi , F Sennlaub, P Sapieha. EMBO Mol Med. 2016 Dec 1;8(12):1366-1379. VEGF Requires the Receptor NRP-1 To Inhibit Lipopolysaccharide-Dependent Dendritic Cell Maturation. Oussa NA, Dahmani A, Gomis M, Richaud M, Andreev E, Navab-Daneshmand AR, Taillefer J, Carli C, Boulet S, Sabbagh L, Labrecque N, Sapieha P, Delisle JS. J Immunol. 2016 Nov 15;197(10):3927-3935. ★Senescence-associated secretory phenotype contributes to pathological angiogenesis in retinopathy. Oubaha M, Miloudi K, Dejda A, Wilson AM, Rezende, FA Mallette FA, Sapieha P. Science Translational Medicine. 2016 Oct 26;8(362):362ra144. In editorial highlights. p75NTR and Its Ligand ProNGF Activate Paracrine Mechanisms Etiological to the Vascular, Inflammatory, and Neurodegenerative Pathologies of Diabetic Retinopathy. P Barcelona, N Sitaras, A Galan, G Esquiva, S Jmaeff, Y Jian, M Sarunic,N Cuenca, P Sapieha,* and H. Uri Saragovi * The Journal of Neuroscience. 2016 Aug 24;36(34):8826-41 * co-corresponding in (Highlights of JNeurosci). Neurovascular Crosstalk in Diabetic Retinopathy: Pathophysiological Roles and Therapeutic Moran EP, Wang Z, Chen J, Sapieha P, Smith LE, Ma JX. Am J Physiol Heart Circ Physiol. 2016 Sep 1;311(3):H738-49. ★Truncated Netrin-1 Contributes to Pathological Vascular Permeability in Diabetic Retinopathy Miloudi K, Binet F, Wilson AM, Dejda A, Oubaha M, Cerani A, Rezende, FA, Bourgeault S, Kennedy TE, Sapieha P. J Clin Invest. 2016 Aug 1;126(8):3006-22. In Highlights of JCI. Neuropilin-1 expressing microglia are associated with nascent vasculature yet dispensable for retinal angiogenesis. A Dejda, G Mawambo, K Miloudi, J-F Daudelin, N Labrecque, Sennlaub F, Sapieha P. Invest Ophthalmol Vis Sci. 2016 Apr;57(4):1530-6. doi: 10.1167/iovs.15-18598. MicroRNA signatures in vitreous humour and plasma of patients with exudative AMD Menard C, Rezende F, Miloudi K, Tetreault N, SanGiovanni JP, DeGuire V, Sapieha P. Oncotarget. 2016 Apr 12;7(15):19171-84. doi: 10.18632/oncotarget.8280. Retinal lipid and glucose metabolism dictates angiogenesis through the lipid sensor Ffar1. Joyal JS, Sun Y, Gantner ML, Shao Z, Evans LP, Saba N, Fredrick T, Burnim S, Kim JS, Patel G, Juan AM, Hurst CG, Hatton CJ, Cui Z, Pierce KA, Bherer P, Aguilar E, Powner MB, Vevis K, Boisvert M, Fu Z, Levy E, Fruttiger M, Packard A, Rezende FA, Maranda B, Sapieha P, Chen J, Friedlander M, Clish CB, Smith LE. Nat Med. 2016 Apr;22(4):439-45. Cell-specific optoporation with near-infrared ultrafast laser and functionalized gold nanoparticles. Bergeron E, Boutopoulos C, Martel R, Torres A, Rodriguez C, Niskanen J, Lebrun JJ, Winnik FM, Sapieha P, Meunier M. Nanoscale. 2015 Nov 14;7(42):17836-47. SYK is a target of lymphocyte-derived microparticles in the induction of apoptosis of human retinoblastoma cells. Qiu Q, Yang C, Xiong W, Tahiri H, Payeur M, Superstein R, Carret AS, Hamel P, Ellezam B, Martin B, Vezina M, Sapieha P, Liu G, Hardy P. 2015 Dec;20(12):1613-22. Retinal neurons curb inflammation and enhance revascularization in ischemic retinopathies via proteinase-activated receptor-2. Sitaras N, Rivera JC, Noueihed B, Bien-Aimé M, Zaniolo K, Omri S, Hamel D, Zhu T, Hardy P, Sapieha P, Joyal JS, Chemtob S. Am J Pathol. 2015 Feb;185(2):581-95. ★ Neuropilin-1 mediates myeloid cell chemoattraction and influences retinal neuroimmune crosstalk A Dejda, G Mawambo, A Cerani, K Miloudi, Z Shao, J-F Daudelin, S Boulet, M Oubaha, F Beaudoin, N Akla, S Henriques, C Menard, A Stahl, J-S Delisle, FA Rezende, N Labrecque, P Sapieha, J Clin Invest. 2014 Nov;124(11):4807-22. Subcellular localization of coagulation factor II receptor-like 1 in neurons governs angiogenesis. Joyal JS, Nim S, Zhu T, Sitaras N, Rivera JC, Shao Z, Sapieha P, Hamel D, Sanchez M, Zaniolo K, St-Louis M, Ouellette J, Montoya-Zavala M, Zabeida A, Picard E, Hardy P, Bhosle V, Varma DR, Gobeil F Jr, Beauséjour C, Boileau C, Klein W, Hollenberg M, Ribeiro-da-Silva A, Andelfinger G, Chemtob S. Nat Med. 2014 Oct;20(10):1165-73. Evaluation of the vitreous microbial contamination rate in office-based three-port microincision vitrectomy surgery using Retrector technology. Rezende FA, Qian CX, Sapieha P. BMC Ophthalmol. 2014 May 1;14(1):58. Assessment of Vascular Regeneration in the CNS Using the Mouse Retina K Miloudi, A Dejda, F Binet, E Lapalme, A Cerani, P Sapieha. Vis. Exp. e51351, doi:10.3791/51351 (2014). Anti-proliferative and anti-tumour effects of lymphocyte-derived microparticles are neither species- nor tumour-type specific. Yang C, Xiong W, Qiu Q, Tahiri H, Superstein R, Carret AS, Sapieha P, Hardy P. J Extracell Vesicles. 2014 May 9;3. doi: 10.3402/jev.v3.23034. eCollection 2014. Cytochrome P450 2C8 ω3-long-chain polyunsaturated fatty acid metabolites increase mouse retinal pathologic neovascularization–brief report. Shao Z, Fu Z, Stahl A, Joyal JS, Hatton C, Juan A, Hurst C, Evans L, Cui Z, Pei D, Gong Y, Xu D, Tian K, Bogardus H, Edin ML, Lih F, Sapieha P, Chen J, Panigrahy D, Hellstrom A, Zeldin DC, Smith LE. Arterioscler Thromb Vasc Biol. 2014 Mar;34(3):581-6. Systemic Inflammation Perturbes Developmental Angiogenesis and Neuroretinal Function S Tremblay, S Favret, F Binet, A Polosa, S Chaychi, P Lachapelle, S Chemtob and P Sapieha Invest Ophthalmol Vis Sci. 2013 Dec 17;54(13):8125-39. Chen J, Michan S, Juan AM, Hurst CG, Hatton CJ, Pei DT, Joyal JS, Evans LP, Cui Z, Stahl A, Sapieha P, Sinclair DA, Smith LE. 2013 Oct;16(4):985-92. Deficiency in the Metabolite Receptor SUCNR1 (GPR91) Leads to Outer Retinal Lesions S Favret, F Binet, E Lapalme, D Leboeuf, J Carbadillo, T Rubic, E Picard, G Mawambo, N Tetreault, JS Joyal, S Chemtob, F Sennlaub, JP SanGiovanni, M Guimond, P Sapieha. Aging (Albany NY). 2013 Jun;5(6):427-44. M Klagbsrun, L.E.H. Smith, P Sapieha, A Stahl. FEBS Lett. 2013 Jun 5;587(11):1650-5. DNA Sequence Variants in PPARGC1A, a Gene Encoding a Coactivator of the ω-3 LCPUFA Sensing PPAR-RXR Transcription Complex, Are Associated with NV AMD and AMD-Associated Loci in Genes of Complement and VEGF Signaling Pathways. SanGiovanni JP, Chen J, Sapieha P, Aderman CM, Stahl A, Smith LE. PLoS One. 2013;8(1):e53155. doi: 10.1371/journal.pone.0053155. Omega-3 polyunsaturated fatty acids preserve retinal function in type 2 diabetic mice, P Sapieha, J Chen, A Stahl, MR Seaward, TL Favazza, AM Juan, CJ Hatton, J-S Joyal, NM Krah, RJ Dennison, J Tang, TS Kern, JD Akula and LEH Smith. Nutr Diabetes. 2012 Jul 23;2:e36. SOCS3 is an endogenous inhibitor of pathologic angiogenesis.Stahl A, Joyal JS, Chen J, Sapieha P, Juan AM, Hatton CJ, Pei DT, Hurst CG, Seaward MR, Krah NM, Dennison RJ, Greene ER, Boscolo E, Panigrahy D, Smith LE 2012 Oct 4;120(14):2925-9. doi: 10.1182/blood-2012-04-422527. Central choroidal atrophy is a key mediator of retinal dysfunction in retinopathy of prematurity. Shao, A. Dorfman, S. Seshadri, E. Kermorvant-Duchemin, F. Sennlaub, A. Polosa, P. Lachapelle, P. Hardy, J. Mancini, P. Sapieha, S. Chemtob. Invest Ophthalmol Vis Sci. 2011 Aug 5;52(9):6238-48. 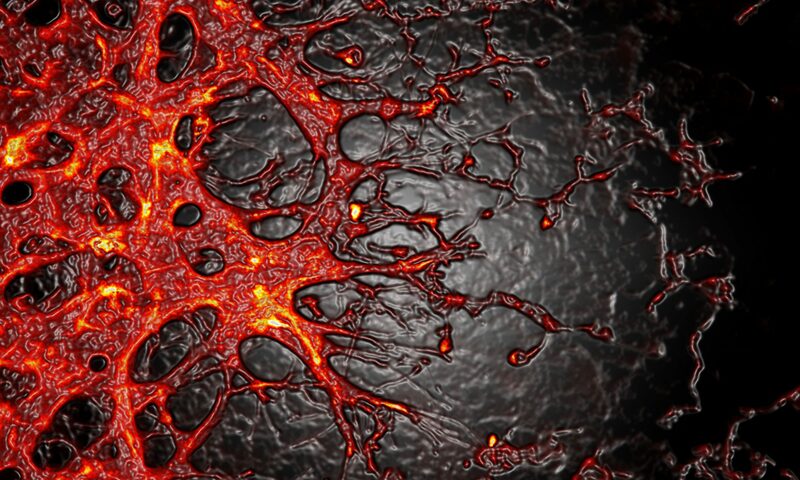 ★Ischemic neurons prevent vascular regeneration of neural tissue by secreting semaphorin 3A. JS Joyal, N Sitaras, F Binet, K Zaniolo, A Stahl, Z Shao, A Polosa, M Djavari, D Kunik, D Hamel, JCHonoré, JC Rivera, A Zabeida, D Varma, G Hickson, J Mancini, M Klagsbrun, S Costantino, C Beauséjour, P Lachapelle, L Smith, S Chemtob and P Sapieha. Blood 2011;117(22):6024-35. Cover article with editorial. 5-Lipoxygenase Mediates Anti-angiogenic Effects of ω-3 PUFAs on Proliferative Retinopathy. Sapieha P, Stahl A, Seaward M, Chen J, Krah N, Denission R, Connor KM, Gronert K & Willett K, Smith LE. Science Translational Medicine. 2011 Feb 9;3(69):69ra12. Cover article and editorial in New England Journal of Medicine (May 19th, 2011). Resveratrol Inhibits Pathological Retinal Neovascularization in Vldlr-/- Mice.Jing Hua, Karen I. Guerin, Jing Chen, Shaday Michan, Andreas Stahl, Nathan M. Krah, Molly R. Seaward, Roberta J. Dennison, Aimee M. Juan, Colman J. Hatton , Przemyslaw Sapieha, David Sinclair, Lois E. H. Smith. Invest Ophthalmol Vis Sci. 2011 Apr 25;52(5):2809-16. Cortactin activation by tissue factor/FVIIa and PAR2 promotes porcine cerebral microvascular endothelial cell migration. Tang zhu, Joseph Mancini, Przemyslaw Sapieha, Zhu T, Mancini JA, Sapieha P, Yang C, Joyal JS, Honoré JC, Leduc M, Zaniolo K, Hardy P, Shao Z, Fan L, Hou X, Rivard GE, Chemtob S. Am J Physiol Regul Integr Comp Physiol. 2011 Mar;300(3):R577-85. Postnatal weight gain modifies severity and functional outcome of oxygen-induced proliferative retinopathy. Stahl A, Chen J, Sapieha P, Seaward MR, Krah NM, Dennison RJ, Favazza T, Bucher F, Löfqvist C, Ong H, Hellström A, Chemtob S, Akula JD, Smith LE. Am J Pathol. 2010 Dec;177(6):2715-23. American Journal of Pathology. 2010 Nov 5. Cover Article. Swift-NV; automated quantification of neovscularization. Stahl A, Connor K, Sapieha P, Chen J, Guérin K, Krah N, Denission R, Gronert K & Willett K, Smith LE. Angiogenesis, 2009;12(3):297-301. Quantification of Oxygen-induced Retinopathy in the Mouse – A Model of Vessel Loss, Vessel Regrowth, and Pathological Angiogenesis. Connor K, Stahl A, Chen J, Guérin K, Krah N, Denission R, Gronert K & Willett K, Sapieha P, Smith LE. Nat Protoc. 2009;4(11):1565-73. Epub 2009 Oct 8. VRQ397 (CRAVKY): a novel non-competitive V2 receptor antagonist. Rihakova L, Quiniou C, Hamdan F, Kaul R, Brault S, Hou X, Lahaie I, Sapieha P, Hamel D, Zhuo S, Gobeil F Jr, Joyal JS, Nedev H, Heveker N, Saragovi H, Guillon G, Bouvier M, Lubell WD, Chemtob S. Am J Physiol Regul Integr Comp Physiol. 2009 Oct;297(4):R1009-18. Excitotoxic death of retinal neurons in vivo occurs via a non-cell autonomous mechanism. Lebrun-Julien F, Duplan L, Pernet V, Osswald I, Sapieha P, Bourgeois P, Dickson K, Bowie D, Barker PA, Di Polo A. The Journal of Neuroscience. 2009 Apr 29;29(17):5536-45. ★The succinate receptor GPR91 of neurons plays a major role in retinal angiogenesis. Sapieha P, Sirinyan M, Hamel H, Zaniolo K, Mamer O, Varma D, Joyal JS, Hardy H, Andelfinger G, Mitchell G, Sennlaub F, Chemtob S. Nat Med, Oct; 14(10):1067-76 2008. Interleukin-1 and ischemic brain injury in the newborn: Development of a small molecule inhibitor of IL-1 receptor. Quiniou C, Kooli E, Joyal J-S, Sapieha P, Sennlaub F, Lahaie I, Hou X, Hardy P, Lubell W, Chemtob S. Seminars in Perinatology, 2008 Oct;32(5):325-33. Characterization of a novel allosteric antagonist of Interleukin-1 receptor: 101.10, Quiniou C, Sapieha P, Lahaie I, Hou X, Brault S, Beauchamp M, Leduc M, Heveker N, Lubell W, Sennlaub F, Nadeau S, Phezhetsky A, Chemtob S, J Immunol. 2008 May 15;180(10):6977-87. Trans-Arachidonic Acids Induce a Heme Oxygenase-Dependent Vasorelaxation of Cerebral Microvasculature. Kooli A, Kermorvant-Duchemin E, Sennlaub F , Bossolasco M, Hou X, Honoré JC, Dennery P, Sapieha P, Varma D, Lachapelle P, Hardy P, Balazy M, Chemtob S. Free Radic Biol Med. 2008 Mar 1;44:815-825. Redox-dependent lysophosphatidic acid-induced endothelial cell death. Brault S, Gobeil F, Fortier A, Honoré JC, Joyal JS, Sapieha P, Kooli A, Martin E, Ribeiro-da-Silva A, Peri K, Lachapelle P, Varma D, Chemtob S. Am J Physiol Regul Integr Comp Physiol. 2007 Mar; 292 1174-83. Extracellular Signal-Regulated Kinases 1/2 Mediate Retinal Ganglion Cell Axon Regeneration Induced by Fibroblast-Growth Factor-2. Sapieha P, Hauswirth W, Di Polo A. The Journal of Neuroscience Res., 2006, 1;83 :985-95. Receptor Protein Tyrosine Phosphatase Sigma Inhibits Axon Regrowth in the Adult Injured CNS.Sapieha P, Duplan L, Uetani N, Joly S, Tremblay M, Kennedy TE, Di Polo A. Molecular Cell Neuroscience, 2005 28: 625-35. TrkB Gene Transfer Protects Retinal Ganglion Cells from Axotomy-Induced Death In Vivo Cheng L, Sapieha P, Kittlerova P, Hauwswirth W, and Di Polo A.. The Journal of Neuroscience. 2002 22: 3977-3986. Down-regulation of Human DNA-(Cytosine-5) Methyltransferase Induces Cell Cycle Regulators p16ink4A and p21WAF/Cip1 by Distinct Mechanisms. Fournel M, Sapieha P, Beaulieu N, Besterman J, MacLeod AR. Journal of Biological Chemistry. 1999 274: 24250-24256. Neurons and guidance cues in retinal vascular diseases. Wilson A, Sapieha P. Oncotarget. 2016 Mar 1;7(9):9618-9. Circulating miRNAs as sensitive and specific biomarkers for the diagnosis and monitoring of human diseases: Promises and chal De Guire V, Robitaille R, Tétreault N, Guérin R, Ménard C, Bambace N, Sapieha P. Clin Biochem. 2013 Jul;46(10-11):846-60. Eyeing Central Neurons in Vascular Growth and Reparative Angiogenesis. Sapieha P. Blood, June 15, 2012. Lipid metabolites in the pathogenesis and treatment of neovascular eye disease. Stahl A, Krohne TU, Sapieha P, Chen J, Hellstrom A, Chew E, Holz FG, Smith LE. Br J Ophthalmol. 2011 Nov;95(11):1496-501. Br J Ophthalmol. 2011 Mar 18. Proliferative retinopathies: Angiogenesis that Blinds. Sapieha P, Hamel D, Shao Z, Rivera JC, Zaniolo K and Chemtob S. Int J Biochem Cell Biol. 2010 Jan;42(1):5-12. The Mouse Retina as a model of Angiogenesis Stahl A, Connor K, Sapieha P, Chen J, Guérin K, Krah N, Denission R, Gronert K & Willett K, Smith LE. Invest Ophthalmol Vis Sci. 2010 Jun;51(6):2813-26. Understanding ischemic retinopathies: emerging concepts from oxygen-induced retinopathy. Kermorvant E, Sapieha P, Sirinyan M, Beauchamp M, Checchin D, Hardy P, Lachapelle P, Sennlaub F, Chemtob S. Documenta Ophthalmol, Doc Ophthalmol. 2010 Feb;120(1):51-60. Supply and demand: the influence of energy metabolism on angiogenesis. Sapieha P, Zaniolo K, Hamel D, Joyal JS, Chemtob S. Med Science. 2009 Apr; 25(4):346-8.